After crossing the Andes from Mendoza, Argentina, to Santiago, Chile, on horseback, it was time to settle into some business here in Chile. Carol and I headed south about 3 hours to the Colchagua valley and the town of Santa Cruz to explore the area and look at a couple farms as potential development communities. 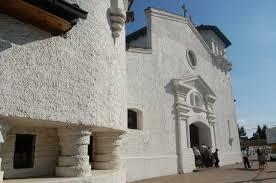 Santa Cruz is a town of about 15,000 people centered on a shady plaza in the middle of town. As tradition would have it, the plaza features a fabulous church, the Alcaldía (municipal offices), and some stores and restaurants. We arrived on Saturday around noon and met Matt Ridgway, a British expat who sells farms and vineyards in the valley. Together we enjoyed lunch at Casa Colchagua, a new restaurant owned by Chef Giovanna Vanni. Carol ordered the salad, and I tried their unique take on Plateada, a slow cooked beef dish with a mashed potato cake sitting on top of the meat. The dish was served in a bowl and there was a tomato-based broth under the meat. The last few bites were almost like a stew, cleaning up the pieces of meat and potato at the bottom. We spent the rest of the day with Matt, looking at two farms rich with vines of cabernet, merlot, chardonnay, and sauvignon blanc grapes hanging in abundance. The farms also had hectares of fruit trees like apple, peach, and plum, as well as nut trees of almond and walnut. Countless wild blackberries and quince trees covered the hills around the farms. The hills and geography in Santa Cruz look and feel so much like central California that you almost forget you are 6,000 miles south. That is until you are talking prices, at which point you find it’s pennies on the dollar compared to anything you could find in the States. After a day of hiking hills and farms, Carol and I went into town for dinner, only to find that everything was booked for Valentine’s Day. On the way to town we got stuck behind a wedding procession led by a carriage holding the bride on the way to church. By the time we found a place to park a few blocks off the main square, the church was alive with people getting ready for the wedding. After trying a couple places, we were pointed to the “Union Club” on the park, a members-only establishment, whose outdoor dining terrace was open to non-members for the special Valentine’s dinner. A delicious 4-course dinner was served under the grape arbor, and the place filled up as the evening wore on. We arrived at 10, and people were still filing in at 11:30 when we left. Eating that late is something that takes getting used to, I guess. More from Santa Cruz soon.